Aztec Diamonds is a fast-paced, Aztec-themed slot, with 5 reels and 3 rows, played over 30 fixed paylines. This Aztec-themed gem comes packed with gorgeous symbols, a great soundtrack, and plenty of bonus features. Add free spins and re-spins to the mix and you’ve got a slot worth diving into – not literally, however, as the symbols spin in and out of bubbling hot molten lava! This is a medium volatility slot with an RTP rate of 96.12%. The search for Aztec riches starts from just € 0.3 per spin. The maximum bet on Aztec Diamonds is € 90. Symbols will start spinning out of the sizzling lava at the bottom of the reels, and you’ll see a variety of Aztec symbols in the form of a bird, snake, fish, and head dress. The lower value symbols are five poker playing card symbols. The special symbols on the reels include the Aztec idol wild which appears on reels 2, 3, and 4. The wild also substitutes for all regular symbols on the reels. The only exceptions are the volcano scatter symbol and the bonus symbol, which can trigger the Jackpot Diamond feature! Free spins are won when you get at least three scattered volcano symbols during the base game. You’ll get six free spins, during which you have extra winning potential, because extra volcanoes, diamonds, and wild idol symbols are added to the reels! You even have the chance to trigger the Jackpot Diamond feature during free spins. You need six or more diamond symbols to trigger the Jackpot Diamond feature. Now you’ll get three re-spins, with the triggering diamond symbols being held in place! If a new diamond symbol appears, it will be held for the rest of the re-spins. That’s not all, though! These shiny diamonds have a lot of power on the reels. If diamonds appear on all four corners positions during this feature, the reels will expand! The reels will increase to a 6x3 grid now and can increase even further if diamonds fill the four corner positions in the newly-expanded 6x3 grid. Now, the reels will expand to again with a new column added at the bottom. The diamond keeps on expanding and it’s almost hard to keep up! If diamonds fill the four corner positions once again in the 6x4 grid this time, the reels will expand one last time to a massive 8x4 grid! There’s just one more surprise hidden in Aztec Diamonds. Just to make things extra interesting and exciting, if a diamond symbol appears in a corner grid position (except in the 8x4 grid), the number of re-spins is reset back to three! At the end of the re-spins, each shimmering diamond will reveal a cash prize or jackpot, which will be awarded. Let’s see what kind of shiny wins Aztec Diamonds has in store for you! 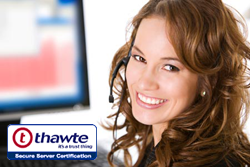 The most valuable Aztec symbol is the bird-like emblem, which is the only symbol that will earn you a payout from just two matching symbols on a payline. The rest of the symbols require a hit of three, four, or five matching symbols on a payline, except for the scatter, which earns you prizes no matter where the symbols are! This symbol can multiply your bet all the way up to 16.6x your bet. Next is the red Aztec symbol, which can multiply your stake by up to 8.3x your stake, while the fish-like symbol and the green snake symbol are both worth a top prize of 5x your stake. Onto the colourful playing card symbols, these earn you the lowest wins, with the A and K being worth the most. These can multiply your bet by 2.5x, while the Q and J are both worth a maximum of 2x your stake. Finally, the 9 symbol is the least valuable and can earn you a top prize of 1.6x your stake. 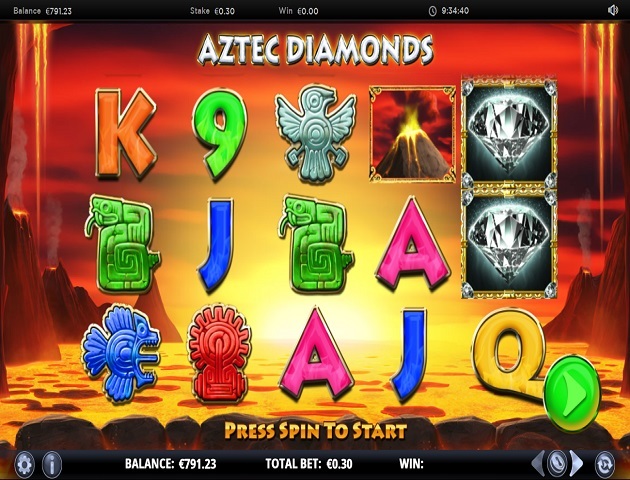 Aztec Diamonds is a very fiery-looking slot, with symbols floating above the bubbling lava in frameless reels. The invisible reels allow you to glimpse the mesmerising sunset, casting a bright red glow on the scenery. The soundtrack is another great element, being very upbeat and authentic. Drums play heavily in the background, along with typical tribal elements. The design and sounds are simple but effective, keeping the slot neat and straightforward to play. Underneath the lava, you can find all the buttons you need to adjust your bet, activate the Autoplay option, and view more information about the game, including the paytable. Aztec Diamonds is a simple game that’s all about finding treasures in this Aztec-themed gem. With no shortage of bonus features and the added incentive of free spins and re-spins, this slot is sure to be a hit with the majority of players! Get the reels spinning into that red-hot lava now at Videoslots.com! Right now we offer Osiris and Cat Burglar Video Slots.